Last week, Bellator promised that their next press conference would involve the announcement of a ‘can’t miss’ event. The conference was called to announce a huge fight card which will feature MacDonald vs Mousasi and Silva vs Jackson. This was rumoured but there was also some surprise news. As well as a new streaming deal with DAZN, which I reported on fully here, Bellator announced a welterweight grand prix. The first bout of an eight man welterweight tournament will take place on the MacDonald/Mousasi card. Bellator president, Scott Coker has said that the 170 pound tourney will feature Michael ‘Venom’ Page; Paul Daley; Douglas Lima and Andrey Koreshkov. The rest of the participants will be confirmed at a later date. 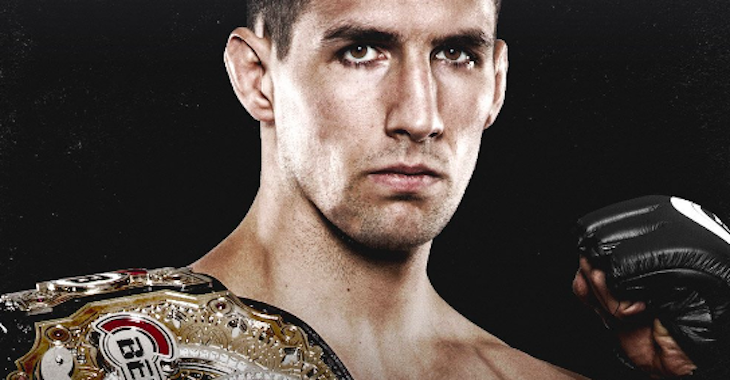 Rory MacDonald currently holds the welterweight championship. He is set to face Bellator’s middleweight champion, Gegard Mousasi on the card. The 170 pound tournament is not designed to crown a new champion. Bellator will not force MacDonald to relinquish the belt, in fact, he will eventually join the tournament. It seems the tourney will be for bragging rights and a claim to being the best welterweight in the world. The Bellator welterweight division is a whose who of talent. As well as the names announced, the division includes Lorenz Larkin, Jon Fitch, Josh Koshcheck and Dillon Danis. Ben Askren was angling for a fight with Rory not too long ago. Could one of the best welterweights ever join the fray? This tournament could be incredible!